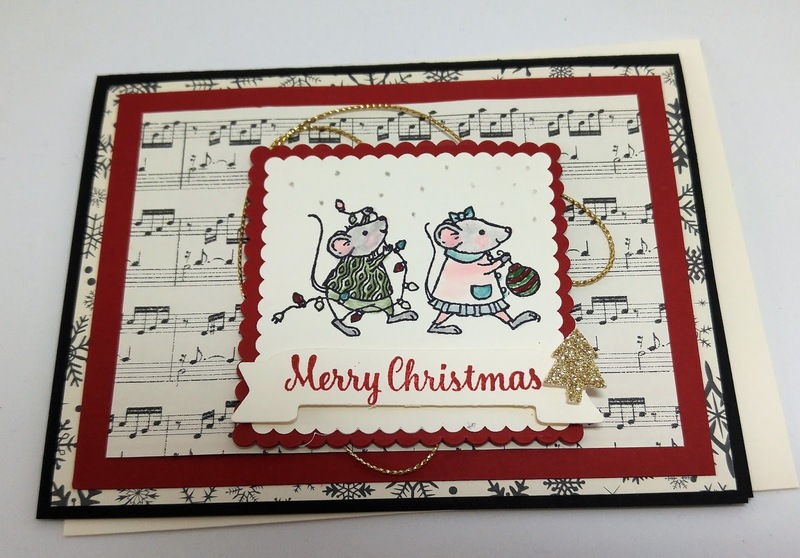 Art Gallery Cards: Gold Hanging Stocking, Candy Cane Lane Cookie Jar and Merry Musical Mice! Gold Hanging Stocking, Candy Cane Lane Cookie Jar and Merry Musical Mice! 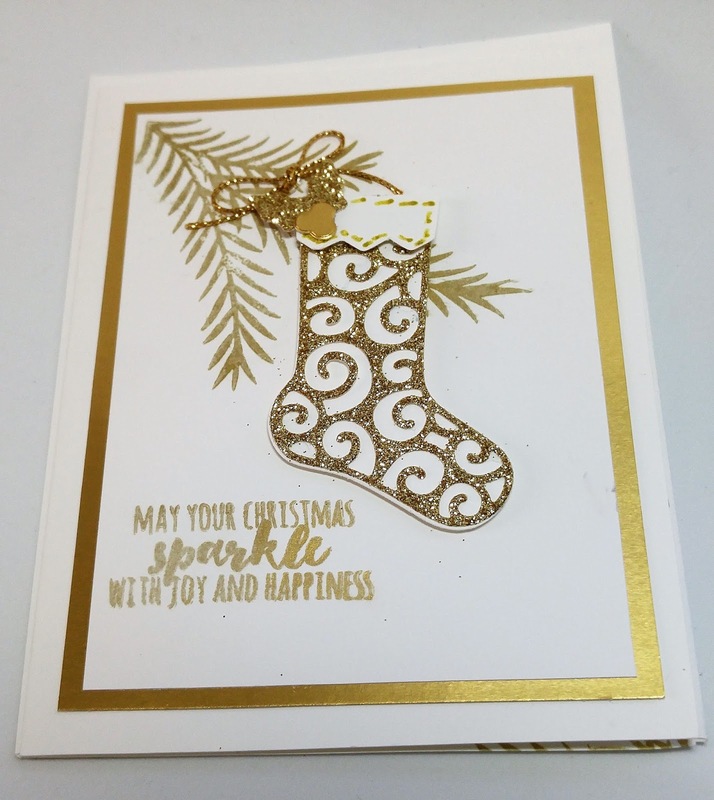 It's been a wonderful week for stamping! In addition to 3 classes and one workshop, I ended the week on Friday with a Stamp 6 Christmas Cards workshop! We made 2 each of the following 3 designs, had great snacks (Thank you, attendees!) 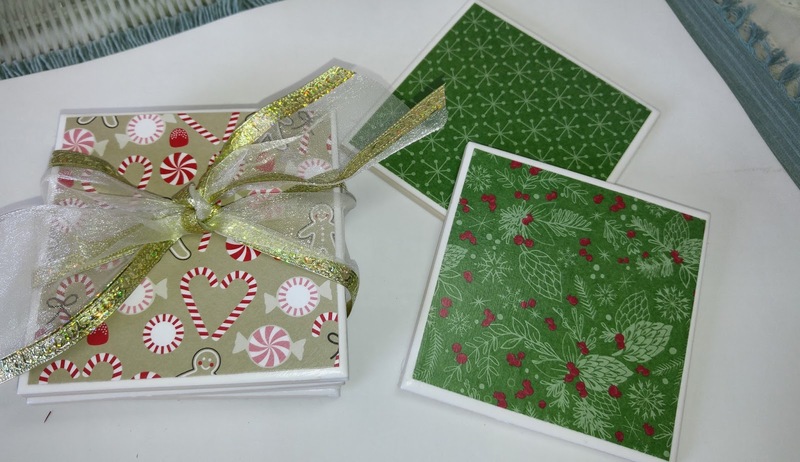 and had a big drawing/giveaway of ribbons, baker's twines, stamp sets and kits! 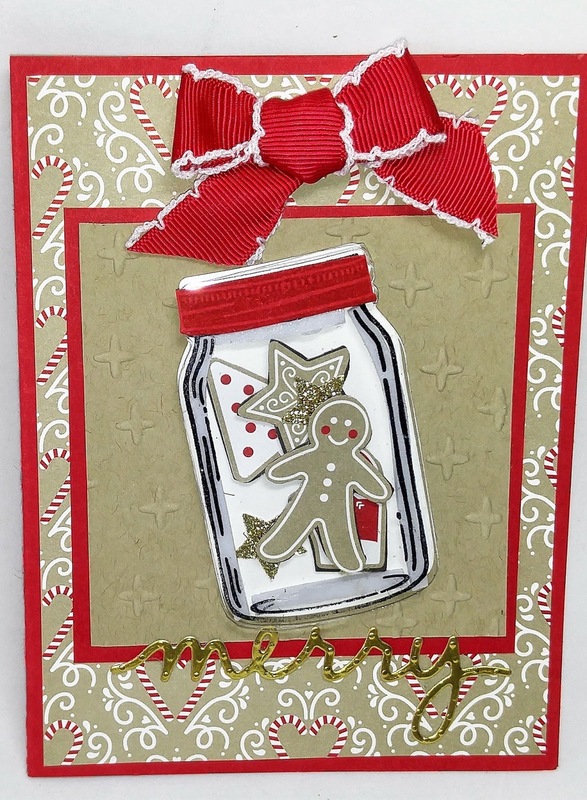 Next is our waaaaay cute Candy Cane Lane Cookie Jar card! I am so hooked on this Designer Series Paper. I have used it for everything and I continue to do so, as you'll see below! Such a fun card--definitely for a very special recipient! Having been a music teacher for more than 30 years, I can't resist anything with a music staff! I love the little mice (I used to collect Charming Tales figurines. Now I just collect Stampin' Up products. 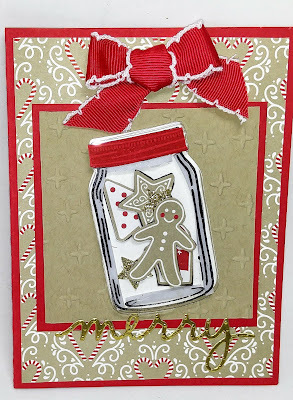 LOL) The Cherry Cobbler and Black cardstocks just set everything off!! I left our Stamp 6 Workshop and drove directly to a big box hardware store in search of 4x4 tiles for our coaster project. (They are not as easy to find these days as you might think!!) These are actually 4 1/4" squares but it works out fine with 4"x 4" tiles because you have that nice 1/4" border. 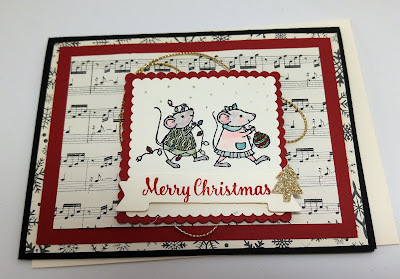 A little ModgePodge and little felt "feet" and you have it! Have a wonderful week of stamping and creativity!! Check out the supplies below. You can find many of them on sale at our end of the year Clearance Sale! Find them all by clicking HERE!